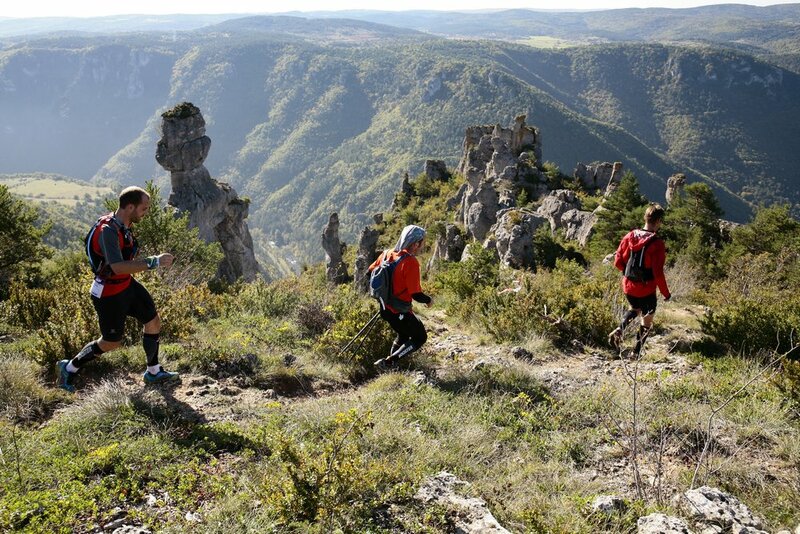 Ten members of South Africa’s best trail runners have been handpicked to represent the country at one of Europe’s greatest trail running events, the Festival des Templiers in France at the end of October. She is a biochemist, firefighter, athlete AND mother of three; tell us again how you don’t have time to train? 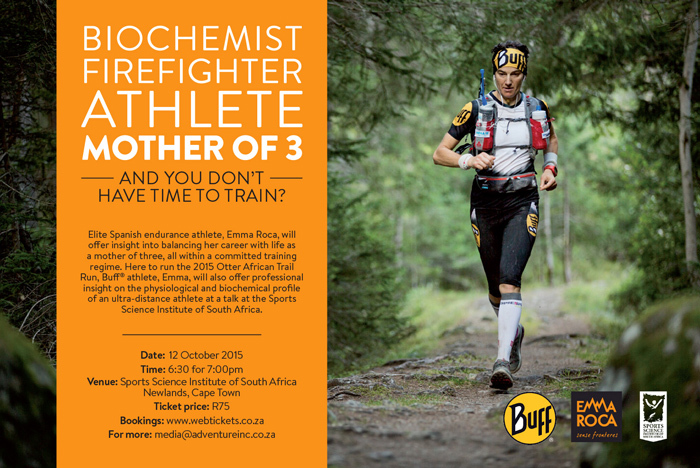 Thanks to Buff® South Africa, Buff® athlete Emma Roca is coming to rock the 2015 Otter African Trail Run, and will show South Africans a little bit about finding balance and living your passions. This past weekend saw the running of the anual Cellar to Cellar Wine Experience and Trail Runs by Iqela Events. Starting and finishing at Blaauwklippen off the R44 between Stellenbosch and Somerset West. These participating wine farms, all well known for their exceptional wines, will tempt participants to linger and taste their wines along with a pairing or 2. The Ultra Trail CT (UTCT) seems to have captured the imagination of the overseas travelling contingent wanting to cherry pick ultra-distance races-. No less than 26 different nationalities have signed up to run up, over and in the shadows of Table Mountain and surrounds. Accomplished distance runner, Salameh Al Aqra from Jordan, is not coming all this way just for the stunning scenery, however. Karine is a rookie in this awesome sport and very excited to be part of the SA team. She is a courageous athlete with guts and willing to experience the world, "I'm humbled and honoured to be able to compete against some of the world's best in Switzerland." She has always loved running. Since childhood she would explore the farm that she grew up on, through running. As a physiotherapist she is also of opinion that running is the most natural sport and that our bodies are designed to move and especially run. This weekend saw two of South Africa's Team Members for the World Long Distance Trail Champs both claim victory in the FNB Platinum Trail Run. This is extremely exciting news for us as it means that our athletes are in top shape and ready to show the World what they can do on the 4th July in Zermatt. This is a first of a few athlete bio's we will be showcasing. Megan has been selected to represent her country at the World Long Distance Trail Championships to be held at the Zermatt Marathon in Switzerland on the 4th July 2015. She was also recently crowned the 2015 SA Trail Champ with her fantastic win at the Molweni SA Trail Championships. Megan is an adventure loving, mountain fanatic from KwaZulu Natal. After a very successful "win an otter" campaign we partnered with the Ultra Trail CT, Tsogo Sun and Active Patch 4U to try and raise more funds for these athletes. Our first campaign brought in roughly R10 000 of which every cent will go towards the Ultra Trail Team going to France.